When planning a second marriage priorities are usually different from the first time around. Often the ceremony includes a blended family. 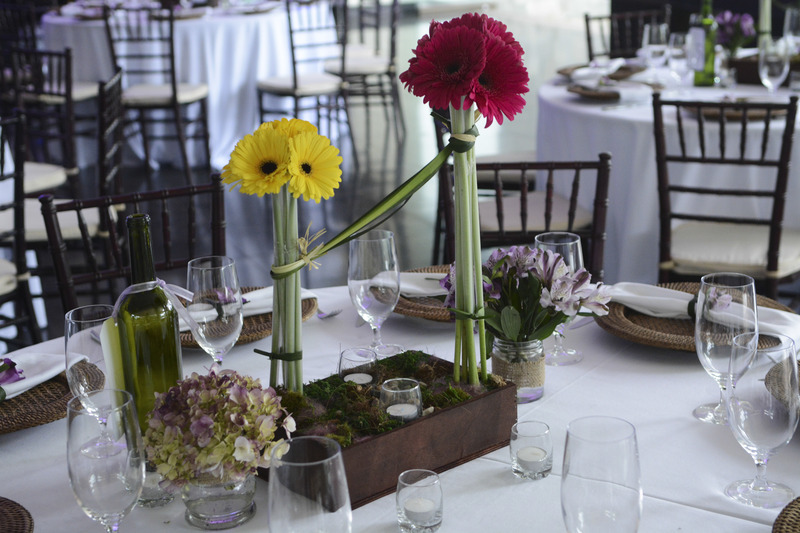 This wedding was no different and Fabrizio was included in the planning. Maria Jose and Eliot have been together a number of years. When we talked about planning their main priority was great music. 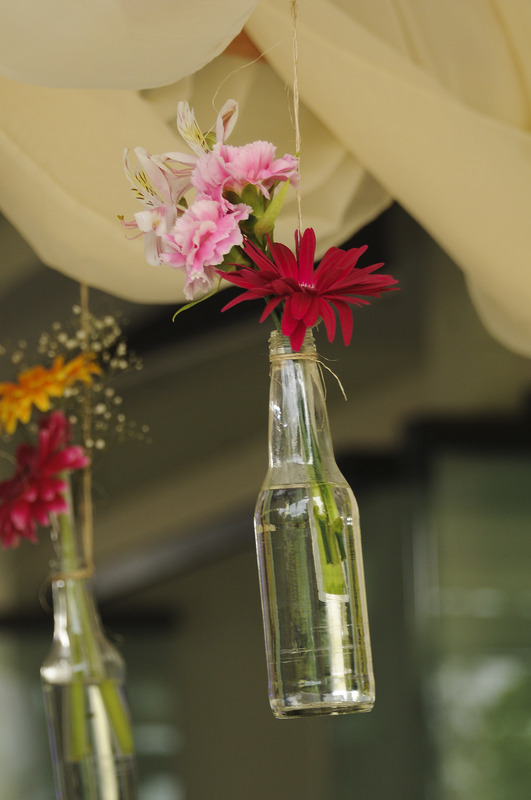 The decor was….”we want a hippy wedding”. 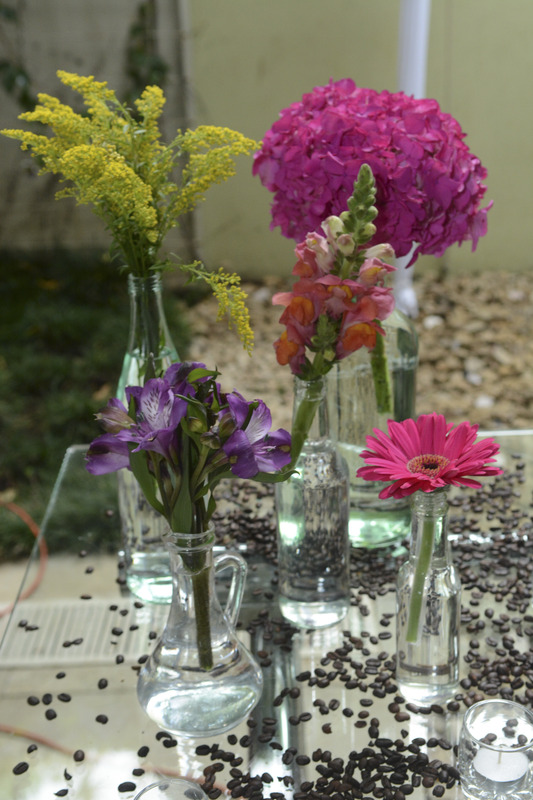 What better way to express this era but gerbera daisies and soft spring flowers. 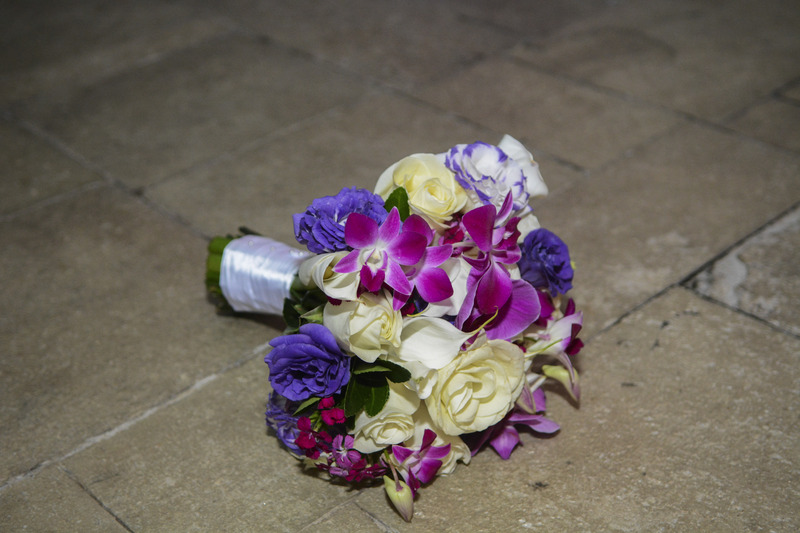 The colors were tones of the bouquet were purple and lilac with a touch of white. 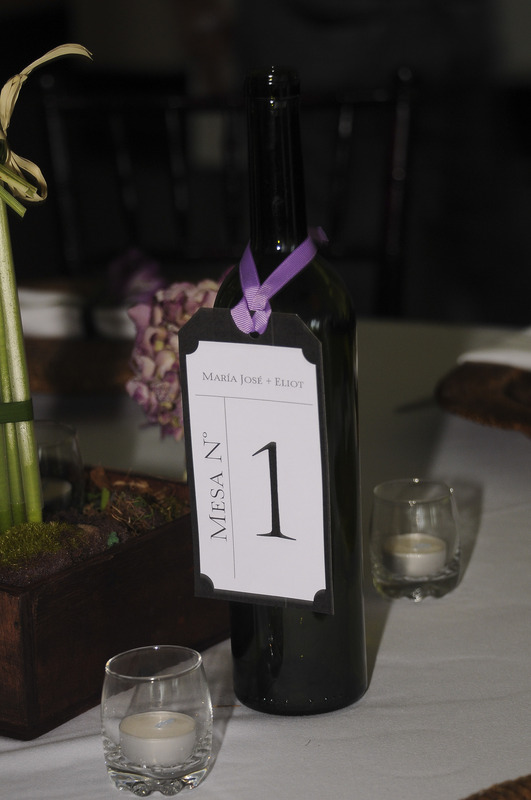 Wine was also incorporated into the decor with the table numbers on wine bottles and the seating cards held by corks. 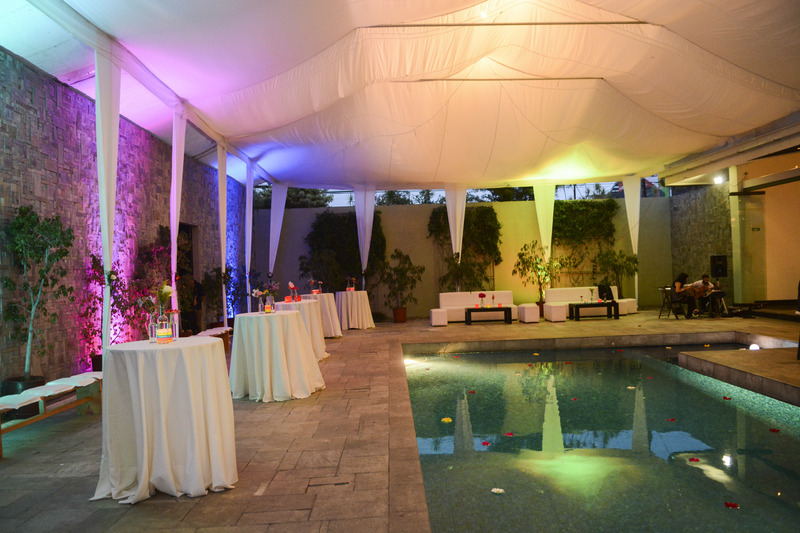 The venue was Campo Lago in the Central Valley. There was a beautiful garden and the large windows and outside terrace gave this group lots of space for dancing, talking and taking in nature. 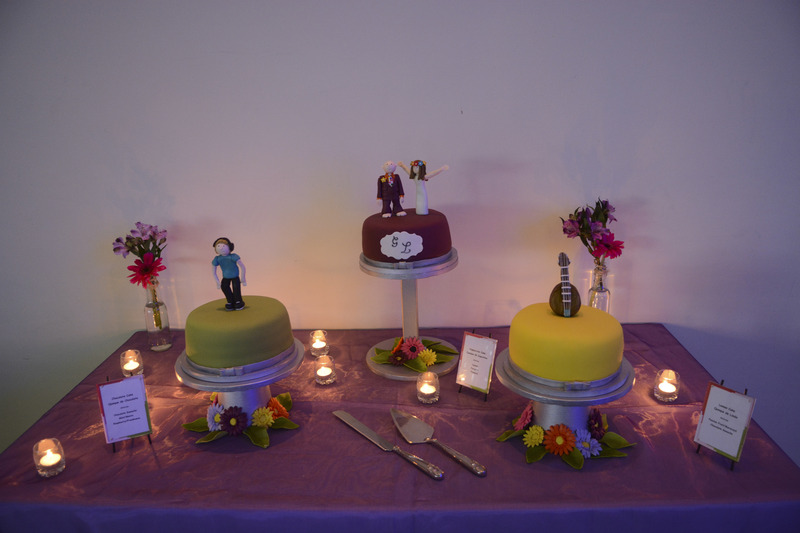 Rather than one cake they had three. 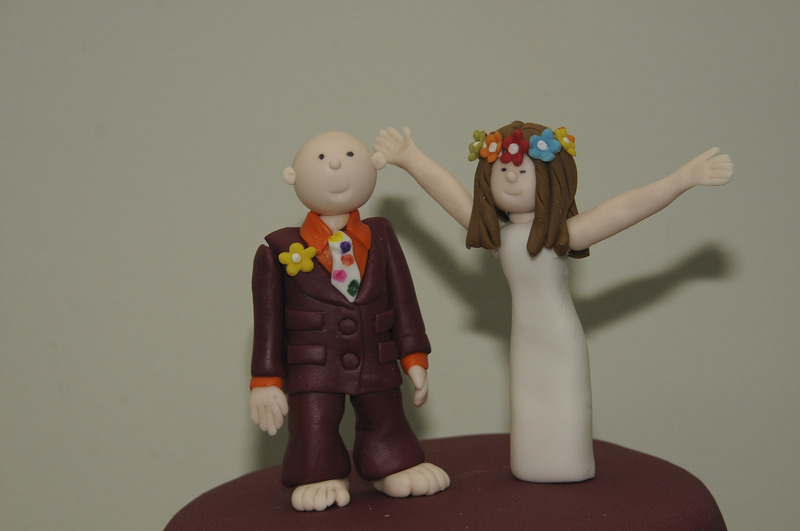 Representing the bride, groom and Fabrizio the cake toppers were perfect. They were brightly colored which complimented the theme. Having three flavors nobody needed to compromise. 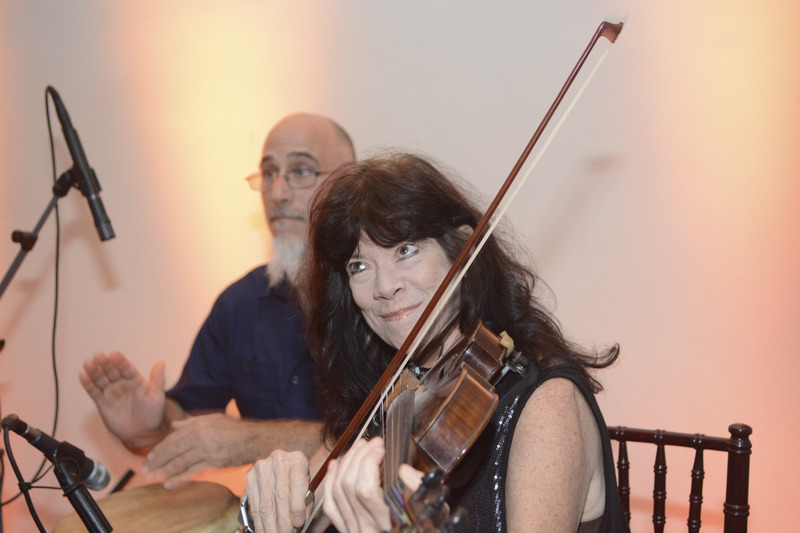 Eliot is a musician and Maria Jose loves to dance. The groom and his friends played at various times during the night. 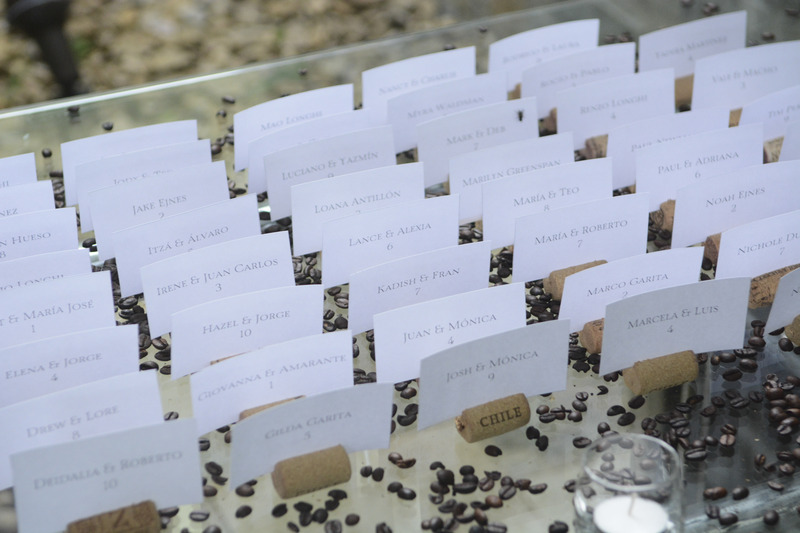 Guests came from all over the world to help celebrate this wedding. 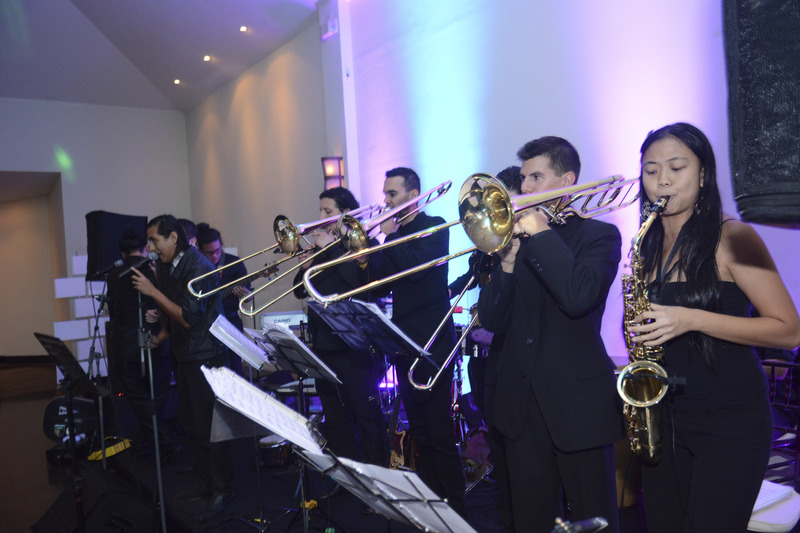 Besides hiring a violinist and guitarist for the ceremony music they also hired a superb Latin band. 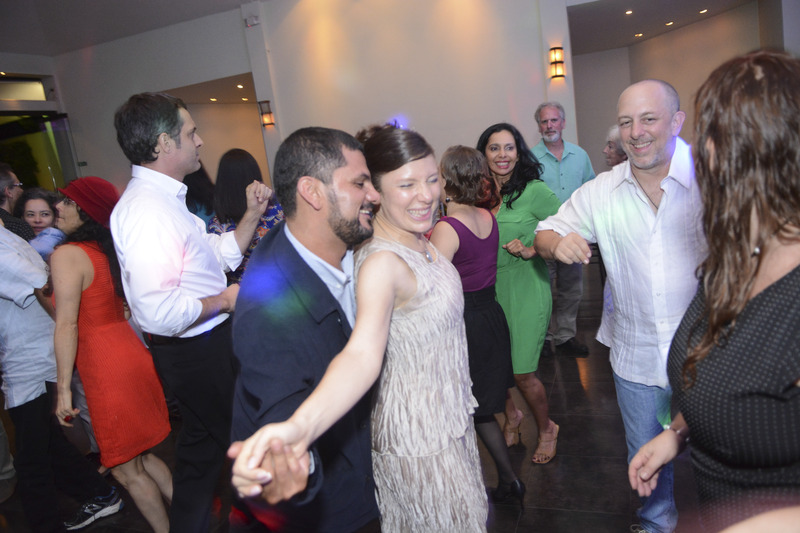 Once the music started everyone was on the dance floor. This wedding was all about having a good time with family and friends. Thanks to Lifetime Digital for these wonderful photos. 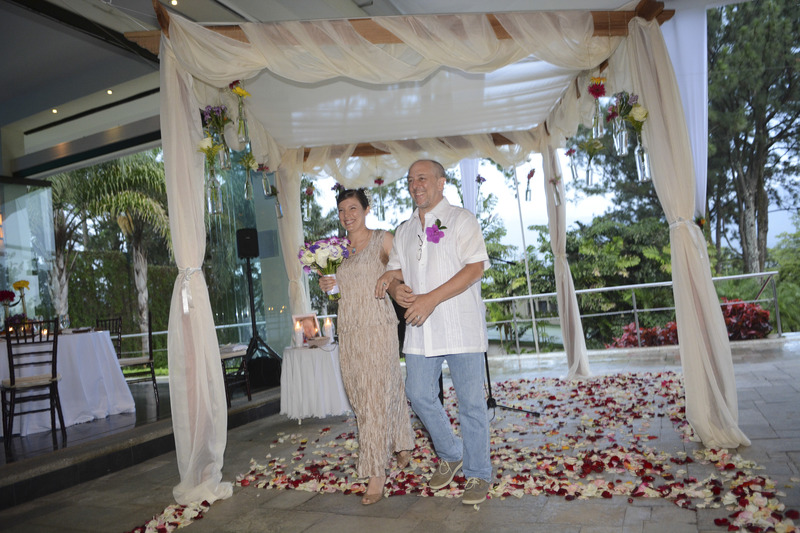 This entry was posted in Jewish Weddings, Seating Cards, Unusual Weddings, Wedding Cakes, Wedding Ceremony, Wedding Flowers, Wedding in Costa Rica, Wedding Locations, Wedding Music, Wedding Pictures, Wedding Planning, Wedding Reception and tagged Campo Lago, ceremony flowers, Hippy wedding, Jewish Wedding, seating cards, table numbers, Wedding Bouquet, Wedding Flowers, wedding music, Wedding Reception by Randy Gritz. Bookmark the permalink.